With more than 35 years experience in fusion splicer design, Sumitomo continues to develop innovative splicing products for use in the core network, the access network and the enterprise LAN. With the Lynx CustomFit™ Splice-On Connector anyone that can use a fusion splicer can quickly make reliable fibre terminations in the field. 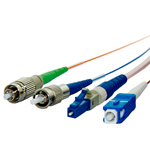 Sumitomo Electric Industries provides a comprehensive range of fibre connector products, ranging from kits for factory made terminations, through field assembly connectors to pre-terminated cable assemblies. As one of the world's premier manufacturers of optical fibre, fibre cable and ferrules we have strict control over the quality of our connector products. Leading provider of high end optical solutions for Datacom and Telecom markets. 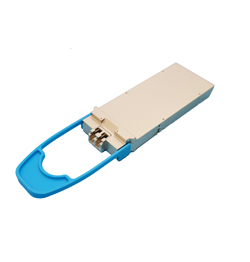 Wide range of Transceivers 10G-400G for Data Center Interconnect and Metro Transport Applications as well as RF Devices that deliver comprehensive solutions for wireless systems. Comprehensive array of Devices, click below to view more.